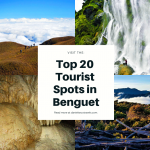 Benguet continues to seize the interest of adventurers, hikers, or mountaineers. 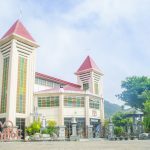 One of its municipalities which are gaining popularity lately is Bakun. 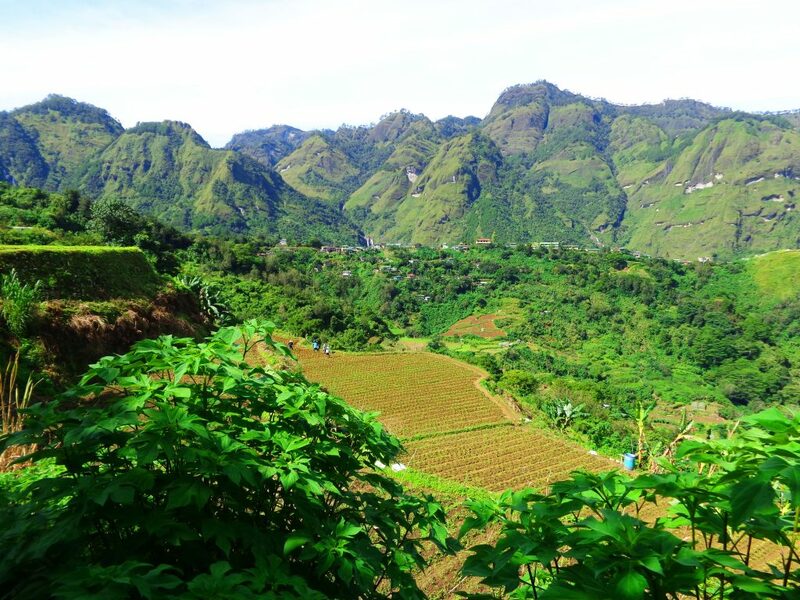 Bakun, Benguet is one of the farthest and remotest to reach. Yet, that is no excuse for avid travelers and tourists who willfully ride the challenge just to glimpse of Bakun’s tourist spots. There are seven barangays in all. 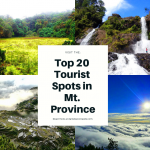 However, Poblacion is the most visited. 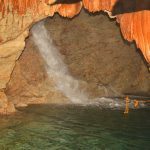 It is also the primary jump-off point to most of the famous tourist spots in Bakun. Gladly speaking, I had the chance to visit Poblacion, Bakun twice. Certainly, I am ever amazed and each time I come, I discover and learn something new. Thus, I always carry with me this nostalgic feeling of visiting Bakun over and over again. Now without further ado, let us walk you to the tourist spots in Bakun. 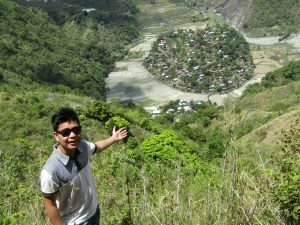 The distant community of Poblacion, Bakun, Benguet. There is only one daily trip departure to Poblacion, Bakun. The bus is stationed at KM 5, La Trinidad, along Caltex Station. This is just in front of the La Trinidad Public Market. 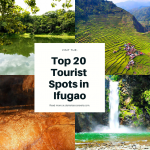 If you are coming from Baguio, ride a jeepney bound to Camp Dangwa, Tomay, or Motorpool and tell the driver to drop you off in front of the station. The bus leaves around 6:00 am to 6:30 am, depending on the number of passengers. However, it is advisable to go there at least an hour before the departure. That way, you will not run out of seats. If you are a group, you can also rent a jeep from Baguio bound straight to Poblacion. I am not sure though of the rate. I’ll get you updated about this once I get the information. 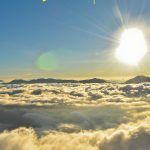 There is so much to see in Bakun, Benguet. If you are still high up on the road, you can catch a panoramic view of the community with its imposing background of scenic mountains. 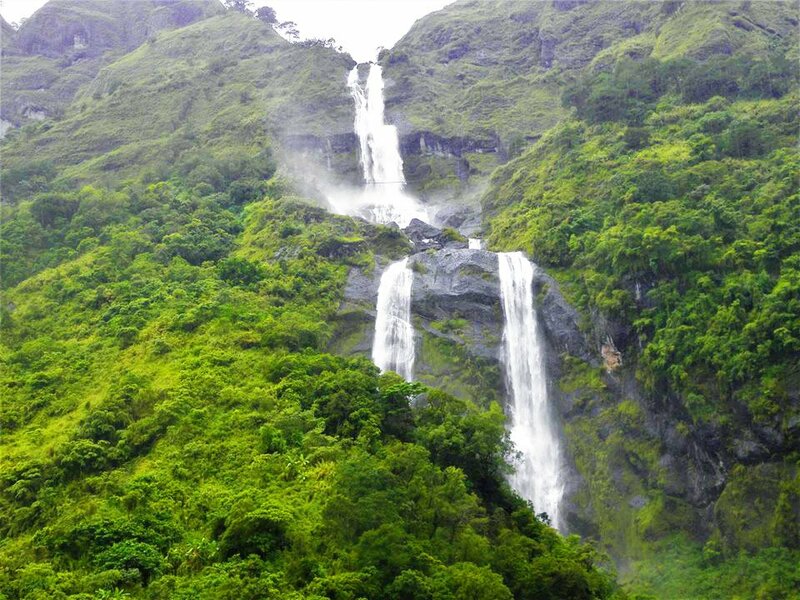 During rainy months, towering waterfalls appear in almost every direction. 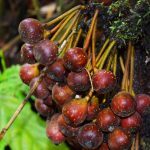 Oh, we were lucky to have visited Bakun just after the rains. There’s just falls everywhere. Some of these are more than a hundred meters high. At first, I was utterly jaw-dropped as I gazed on these heavenly cascades exude caressing mists. By the way, we did not have a guide during our day-tour. One of our companions is from there so she simply asked her friend to lead us around. 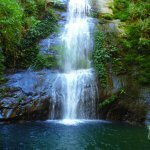 We first visited Tekip Falls. 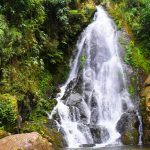 I guess this is the most popular waterfall in Bakun and it is also one of the most accessible. It took us more than 30 minutes of hike from the village to reach it. Like a huge curtain of water, it descends for more than 80 feet into a shallow pool. Oh, I couldn’t help it but position myself on the base of the falls while its cascading waters give me a rejuvenating massage. Did I forget to tell you? Its waters are icy-cold, enough to soothe and harden your muscles and perhaps, relieve you from common colds. 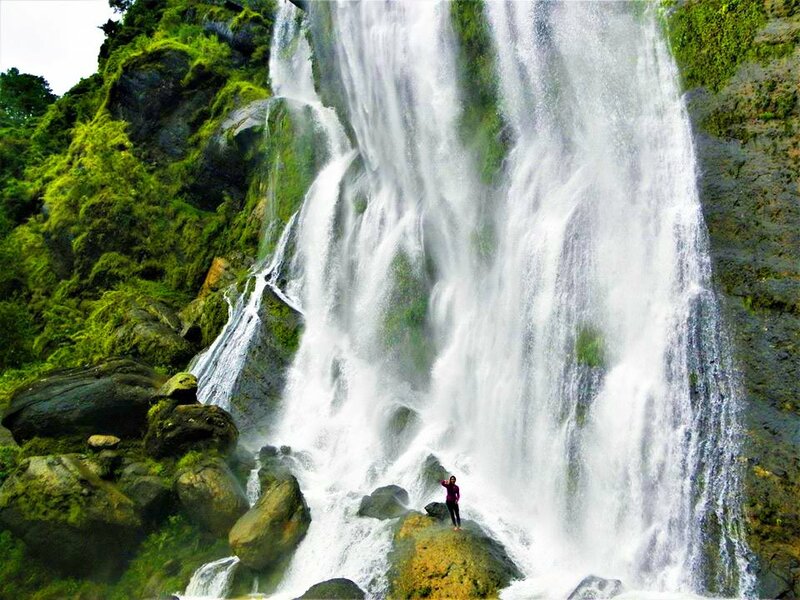 Behold Tekip Falls of Bakun, Benguet. 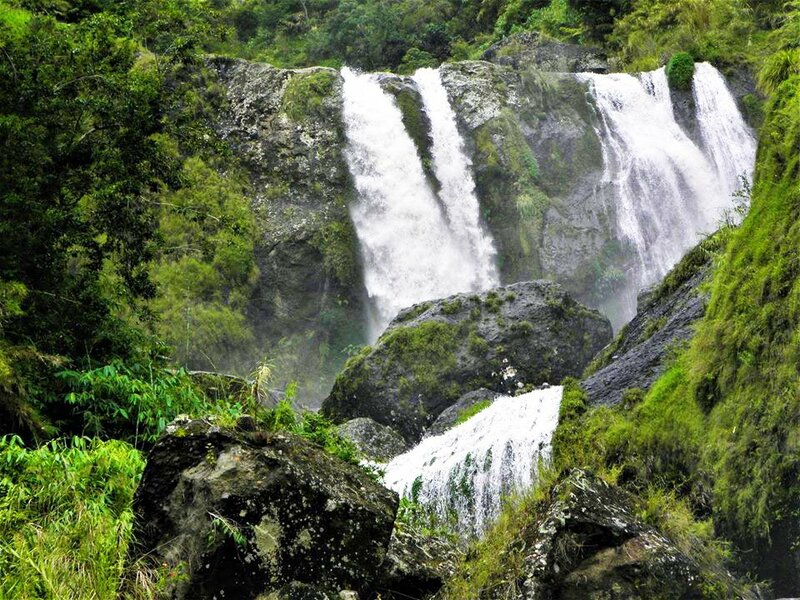 Closer view of Tekip Falls. Our guide told us though that the falls almost dries up during summer. 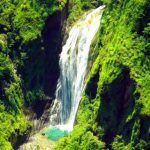 That is why, it is best to visit it and other falls of Bakun during the rainy months of June to February. After Tekip falls, we hiked our way to Pekaw falls. We first trailed along beautiful rice terraces. Later on, we approached a forest. This was the challenging part since it was muddy and slippery. After some while of careful treading, we finally caught sight of Pekaw falls. We did not, however, go to its base since we needed to hike across big and slippery boulders. Fortunately, there was a naturally-built pool nearby. There, we took a dip while gazing at the falls. 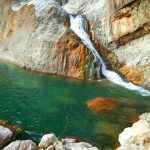 Other popular falls in Bakun are Tres Marias falls, Pattan Falls, Mangta falls, Sakup falls and many more. Some of these are visible from the community proper. 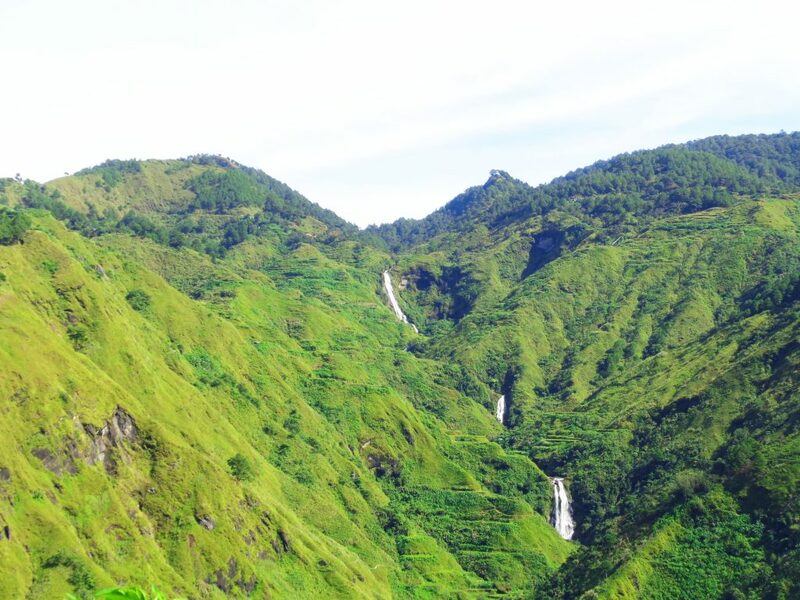 Tres Marias Falls as viewed from Poblacion, Bakun, Benguet. Mt Tenglawan sa viewed from Poblacion, Bakun. 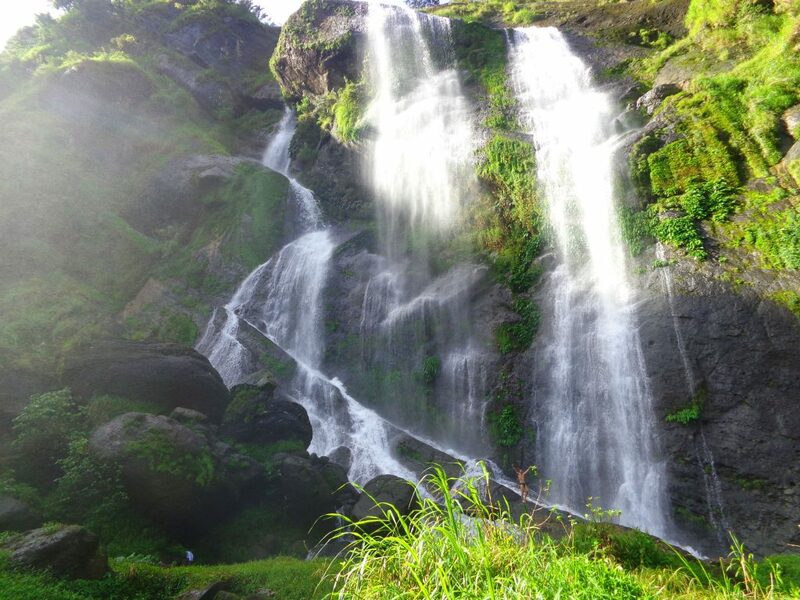 Apart from its numerous waterfalls, Bakun is popular as a mountaineering destination. The foremost peaks are the so-called Bakun Trio, composing of Mt. Kabunian, Mt. Tenglawan and Mt. 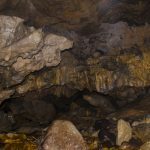 Patullok/Mt. Lubo. 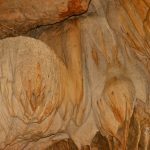 We were not able to visit these mountains since our local guide told us that it would take hours of arduous hike to reach these. 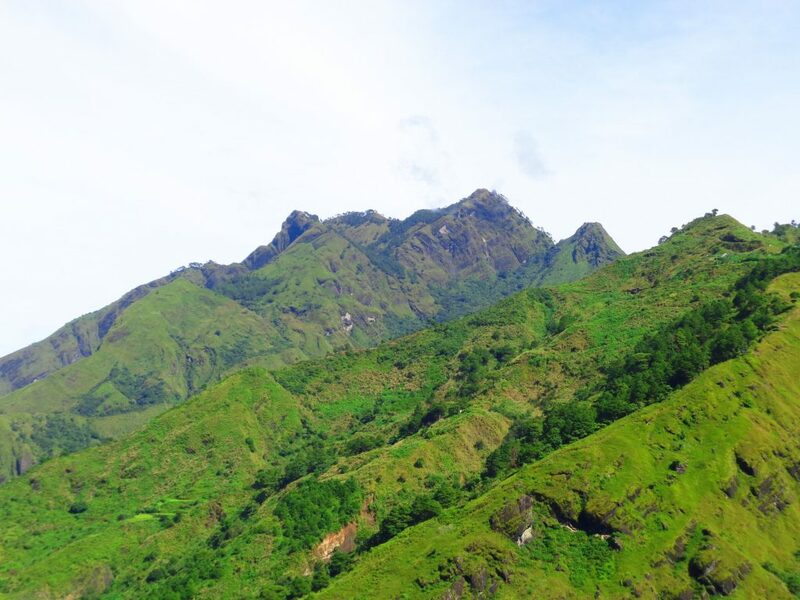 However, the summit of these rewards trekkers with breathtaking views of mountains, sunrise, sunset, and waterfalls. Hopefully, I’ll get to conquer these when I come back. 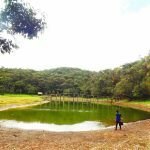 Where to Stay in Bakun, Benguet? Tourists and travelers can stay at the old municipal hall. Each is required to pay 80 pesos. By the way, the new municipal hall has been transferred to another barangay since Poblacion is difficult to reach. There are no beddings or kitchen utensils available there. Therefore, you would have to sleep on the floor. Thus, bring your own bedding. For food, you can ask the officials to prepare them for you. Prices for these range from 125 pesos to 200 pesos. If not, you can stroll around and buy from stores. There are also barbecue and fishball stands. If the old hall is filled to capacity, you may stay at the barangay hall with the same corresponding fee. Another option is to stay at Sagunday Transient for 200 pesos a night. Always consult with the local officials when arriving in the barangay Poblacion, Bakun, Benguet. You can also coordinate in advance for them to prepare necessary amenities. Always have a guide when visiting the tourism spots in Bakun. Respect local culture and protocols by refraining from acts or utterances which may be offensive to the community. Among these include wearing of mini-shorts and public display of affection (PDA). Don’t ever litter. As much as possible, bring your trash/garbage to where you got them. 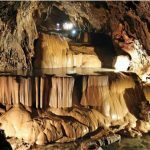 This is one way for you to help preserve the tourist spots in Bakun. Smoking and drinking liquor is prohibited in Bakun, Benguet all year round. Please bear with that. Wow! finally off-the-grid spots like these are getting their mark. Glad to know you enjoyed your visit..my father is a native and we are currently renovating our place so that we could provide a lodge for tourists..